Floor 1 – click image to enlarge. Floor 3 – click image to enlarge. 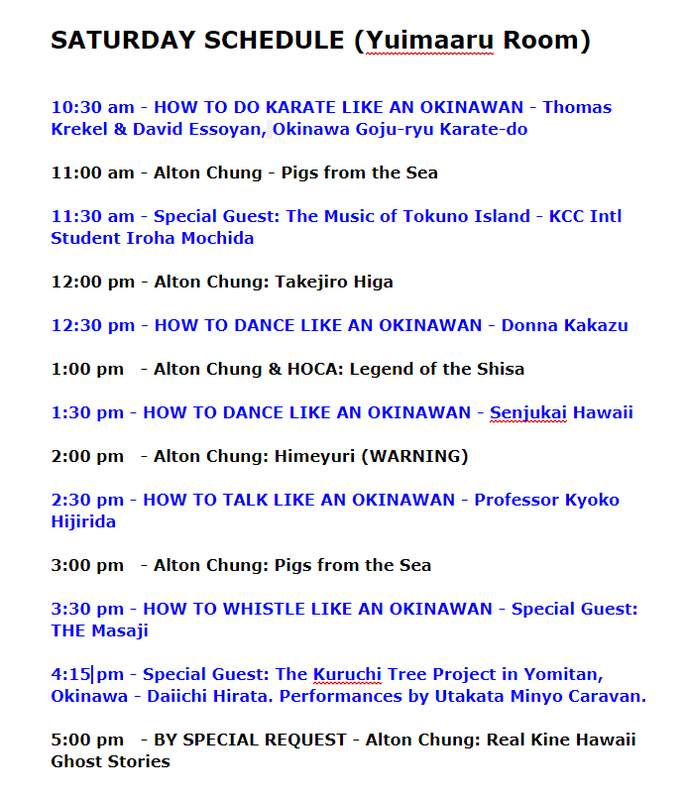 Saturday Yuimaaru Room schedule – click image to enlarge. 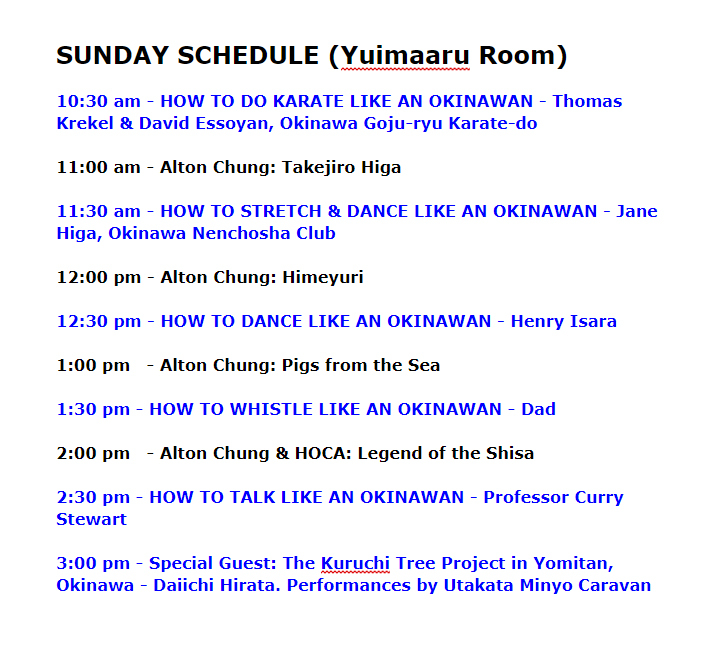 Sunday Yuimaaru Room Schedule – click image to enlarge. PARKING: Convention Center parking open from 7AM, cost $10. Alternative: Park at McKinley HS for free and take the shuttle ($3 roundtrip) to the festival. At McKinley High School – Pensacola Street designated stop (enter by the McKinley School for Adults). Volunteers will direct you to parking areas. At Hawaii Convention Center – porte cochere – driveway fronting the center on Atkinson Drive. Saturday, September 1: 7:00 a.m. – 10:00 p.m.
Sunday, September 2: 7:00 a.m. – 5:30 p.m.